LiquiSep® technology has been implemented specifically to help separate emulsions that are not separable by conventional coalescers. Conventional coalescers are unable to provide the degree clarity associated with LiquiSep® technology due to the inability to capture and remove the most penetrating droplets that cause carry-over. LIQUISEP® can separate these dispersed and emulsified droplets from the hydrocarbon to practically nondetectable levels. Advances in the technology now permit horizontal installations, further reducing capital cost. 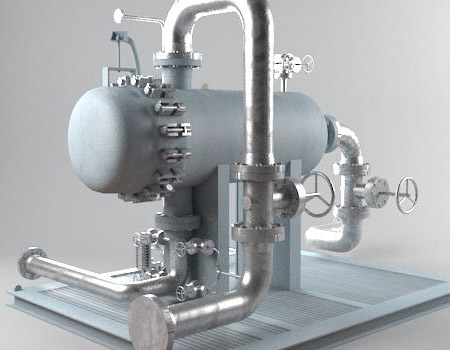 The effluent from a typical LiquiSep® separation consist of two separate phases. One phase is a clear product hydrocarbon stream, and the second phase is a clear product aqueous stream. Hydrocarbon systems frequently encounter aqueous contamination. The aqueous component typically exceeds the soluble limit, and accumulates within the hydrocarbon as a separate dispersed and emulsified phase. This stable emulsion is typically observed as a stable haze.